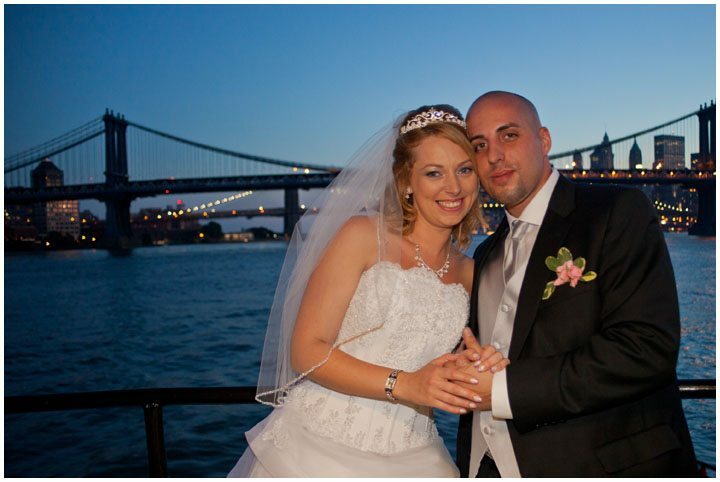 We specialize in unforgettable yacht weddings your guests will always remember. 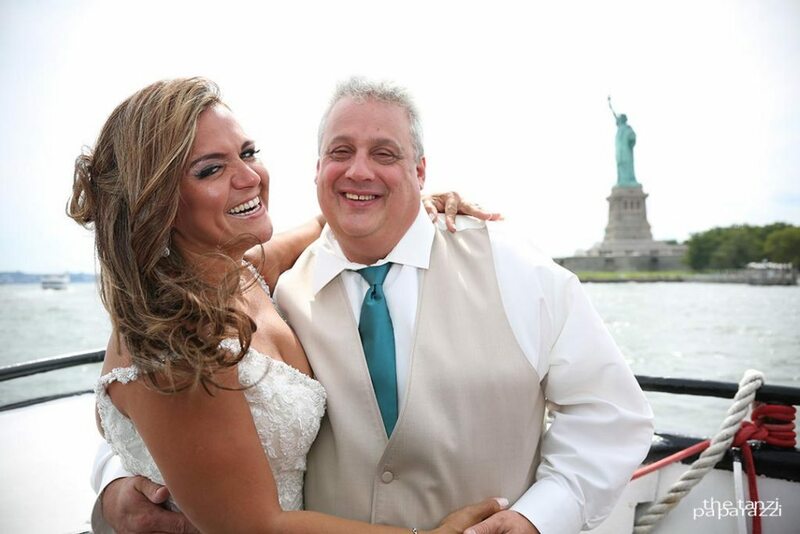 Plan an expertly catered yet affordable wedding cruise with breathtaking views of the Manhattan Skyline, Statue of Liberty or the beautiful Long Island Sound. 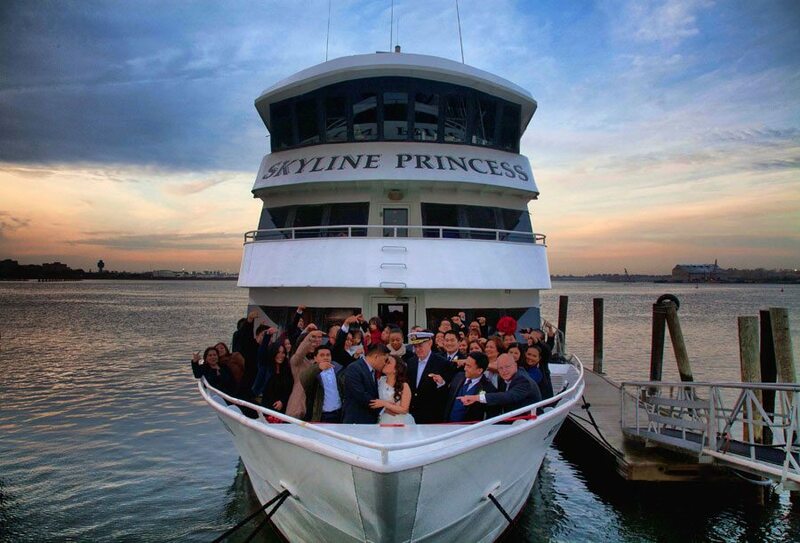 The Super Yacht, known as the Skyline Princess, has long been one of the most popular wedding yachts in NY, NJ & CT. 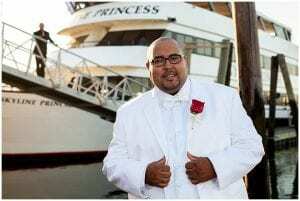 Luxury yacht weddings don’t have to be expensive! Featuring an A+ rating with the Better Business Bureau, you can trust us to make your wedding day special. With wedding packages starting at $69, we have something for every budget. Just got engaged? Already married? Engagement and anniversary parties! Your wedding album will be the envy of all who see it! Enjoy the best wedding photos the Skyline has to offer. 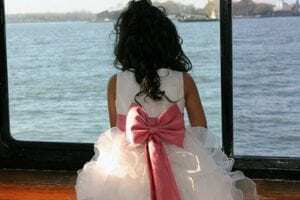 The iconic bridges, the magnificent Manhattan skyline, and Statue of Liberty or the lighthouses and mansions of Long Island Sound provide an amazing photo backdrop. P.S. You will need a very big album. 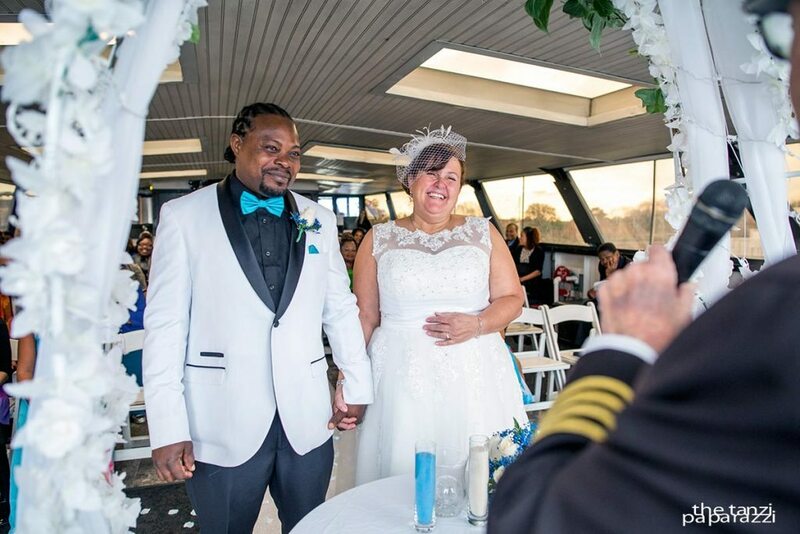 The Skyline Princess is widely considered the tri-state area’s most versatile yacht, ideal for wedding ceremonies and receptions of all styles and sizes. It’s the perfect way to make your unique themed wedding come alive! Breathtaking views of the water and a dazzling panoramic backdrop are perfect for wedding ceremonies, receptions, and bridal parties. Large or small, we make every wedding cruise on the Skyline Princess an intimate and memorable experience for your loved ones. There’s always a nice place to steal a kiss and some alone time with your future spouse, but we can’t promise that your photographer won’t snap a memorable picture from it! 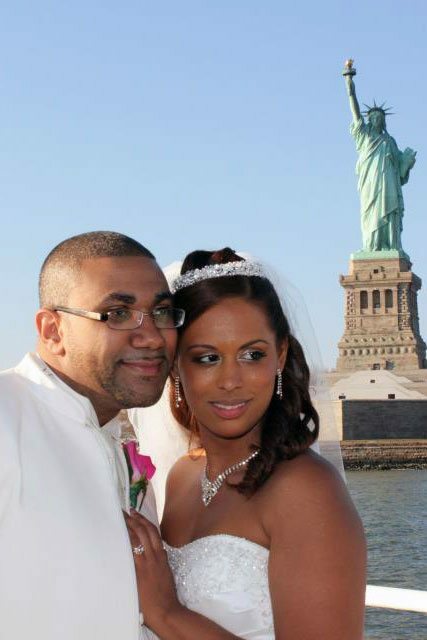 Our exclusive wedding packages include full-service catering, an open bar, and our professional, expert service staff. 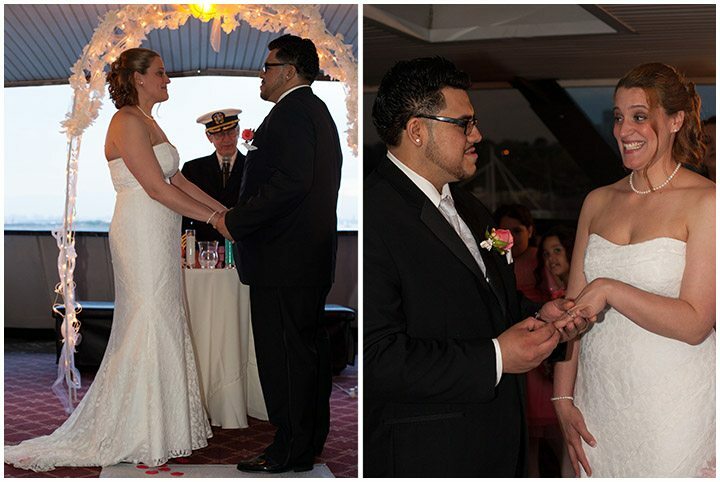 All of our yacht wedding packages also include a beautiful wedding cake of your choice! 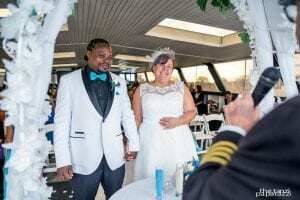 We have experienced vendors to recommend: wedding officiant, photographer, florist, DJ and MC entertainment, and more. We have excellent hotel accommodations close that offer discounts for Skyline customers! Cruises are fun for all ages! Children love to see the NY Harbor views, especially when they see something they’ve learned about in school! There’s nothing like the look on their faces as they point out the famous sites!